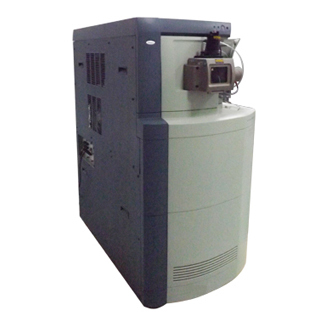 Available from KRSS a used fully refurbished and serviced Waters Q-Tof Premier, Quadrupole-time-of-flight mass spectrometer. Price includes installation, training and 3 months warranty. The Q-Tof Premier Mass Spectrometer, featuring T-WAVE™ (Travelling Wave) technology, offers significant enhancements in mass measurement accuracy, dynamic range (pDRE™), sensitivity (Enhanced Duty Cycle) and speed. If you want to quantify, identify and characterize compounds from simple or complex mixtures, Waters Q-Tof Premier offers simplistic operation with the finest blend of innovative analytical capabilities for results you’ll have the ultimate confidence in. The Q-TOF is tandem mass spectrometer coupling a conventional quadrupole front end with an orthogonal time-of-flight (TOF) final stage. It offers electrospray and nanoelectrospray ionization modes. The TOF MS offers exact mass measurement capabilities (3 ppm) for the determination of elemental composition and increased specificity for the identification of unknowns. The high full scan sensitivity is used for comparative metabolomic global profiling where the maximum amount of information is required from a sample. The Q-Tof Premier is a hybrid orthogonal acceleration Time-of-Flight (oa-ToF) mass spectrometer that enables automated exact mass measurement of precursor and fragment ions to yield the highest confidence in structural elucidation and databank search results. High Sensitivity - High transmission efficiency of Z spray™ source technology, T-WAVE ion optics, T-WAVE collision cell and oa-Tof transmission result in high sensitivity. Exact Mass measurement accuracy - Routine exact mass measurement (within&3ppm rms) in MS and MS/MS with LockSpray and NanoLockSpray. Enhanced speed - Faster TDC (4GHZ) delivers acquisition rates of up to 10 spectra per second, designed specifically to operate within time-frames of UPLC-based separations. Programmable Dynamic Range Enhancement (pDRE™) - Equipped with programmable DRE function which enables quantitation and exact-mass measurement up to 4 orders of magnitude. Enhanced Duty Cycle - enables enhanced sensitivity over targeted m/z ranges for detection of modified components e.g. in Precursor Ion Discovery. MALDI - Exchangeable vacuum 96 spot MALDI enabling large scale MALDI MS and MS/MS analyses. m/z range - up to 100,000 in V optics. Source options - LockSpray™, NanoLockSpray™, IonSabre™, APCI™, ESCI™, and APPI™. Ergonomics - New industrial design and significantly reduced instrument footprint.